The imperial tomb of Tu Duc is considered to be the most beautiful Imperial tomb of every Hue. This tomb set in a beautiful natural and bathed by a Lake, 6 km outside of Hue, was used by the Emperor Tu Duc in life as Summer Palace and spiritual retreat. The tomb was constructed between 1864 and 1867. The construction of Tu Duc’s tomb requires an incredible amount of money and labour, thus resulted in a rebellion of workers. Therefore, the tomb was renamed as Khiem Lang, in comparison with the former name: Van Nien Co (expresses the wish to be permanent). In addition, all the constructions’ names were changed to bear the word Khiem (Modesty) in their names, as the king wanted to express his humility. 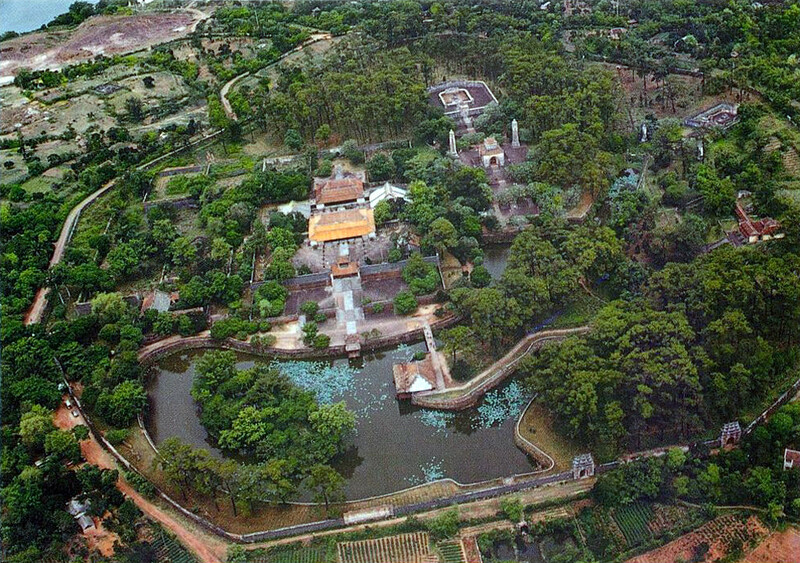 The Imperial of the Emperor Tu Duc Tomb (Tự Đức) is an architectural complex which covers 12 hectares of surface and in its interior we can find 50 buildings between palaces and pavilions. The Tomb Imperial it took to build 3 years (since the year 1864 to 1867) and the imperial tomb of Hue that best fuses with the nature that surrounds it is. The footballer Emperor Tu Duc design the Imperial tomb, once finished, used in life for years as a Summer Palace and retreat. They were frequent walks through the pine forest, see him navigate the river or practice any kind of games on the small island of the Lake. 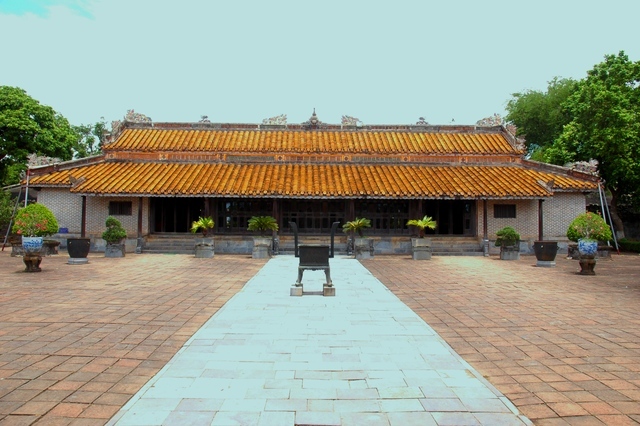 The entire complex of the Imperial Tomb Tu Duc is surrounded by a stone wall. Access is to the southeast, through the door Vu Khiem. A glance at the tomb can create the illusion of a scenic park, packed with lakes, hills, pavilios amidst the lushness of frangipani trees and grove of pines. It’s surrounded by a solid octagonal wall. 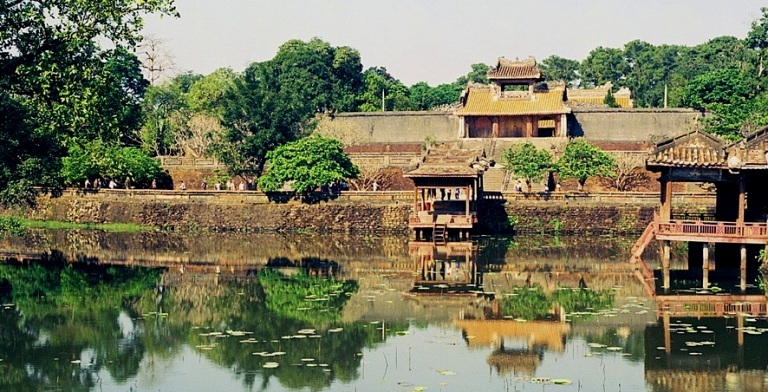 A few notable sites in the temple area inside the tomb can be listed as Luu Khiem Lake, Tinh Khiem Island, Xung Khiem Pavilion, Hoa Khiem Temple (which commemorated the King and the Queen). Hoa Khiem Temple is a small museum of the King’s life: a mirror used by the King’s concubines; a lock gifted by the French; the funerary tablets of the emperor and empress. As the tomb also functions as a home away from home, there is even a royal theatre inside the complex, named Minh Khiem Duong. The theatre is a reflection of Tu Duc’s poetic soul, with the ceiling carved with stars, clouds, crescent moon and sky. Today, perfomances are not shown in this theatre but in Xung Khiem Ta (near Luu Khiem Lake). The Emperor Tu Duc was the Emperor of the Nguyen dynasty who reigned longer in Vietnam, since the year 1848 up to the year 1883. While he enjoyed the company of more than 100 women among women and concubines, he had no offspring (thought it was sterile after contracting smallpox). Tu Duc decided to adopt as a son to his nephew Kien Phuc. The wake that can be seen in the Pavilion in the wake of the Imperial Tu Duc Tomb, is the largest of all Vietnam wake, with 20 tons of weight. To transport it to the imperial tomb they took 4 years. 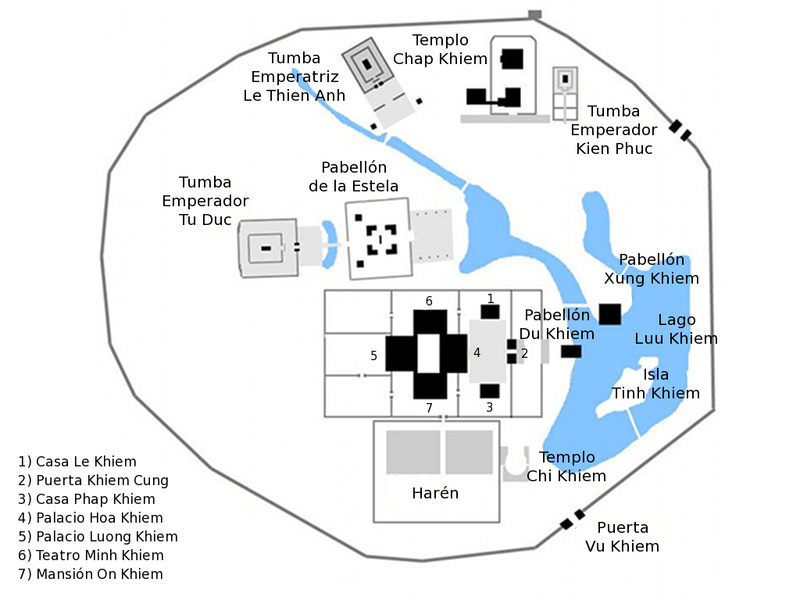 To build the Tomb Imperial was needed so much work and boarded both taxes, that Hue was a popular revolt against the Emperor Tu Duc. 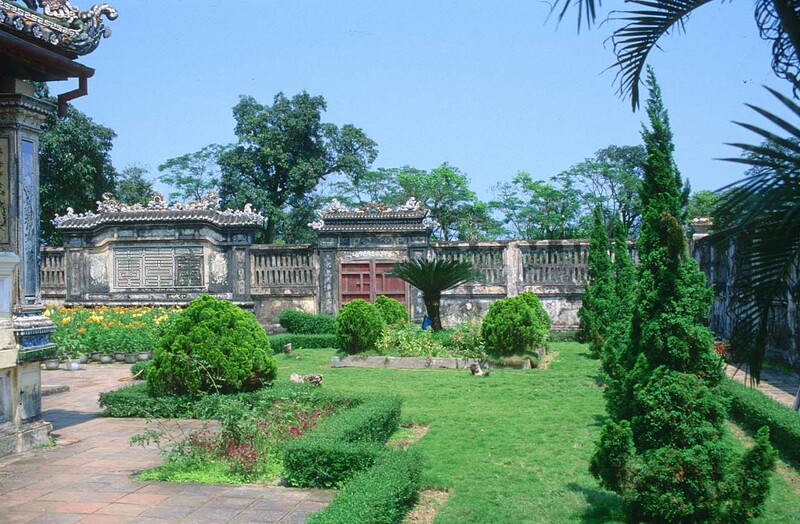 Imperial Tuc Duc Tomb is located 6 kilometers southeast of the city of Hue, along the Perfume River. We can reach the Tu Duc tomb using the same means of transport to go to the Dong Khanh Tomb. Since they are very close to each other. Recommended with a car, but you can also go to the imperial Tu Duc tomb boat on the Perfume River (stopped at the Ben Than pier). Open hour: The Tuc Duc tomb is open daily at 7:00 to 11:30 and 13:30 to 17:30 schedule. Entry fee: Access to the Imperial Tu Duc tomb is free but not free. The price of the ticket are 80,000 VND ( 3€, see Vietnam currency).